The secret to success lies in careful planning – and this planning must be rooted in a clear understanding of how you want the end product to look and function. Often times, the specifics of the project can be ironed out for you with the help of a skilled contractor. However, the clearer your vision is, the easier it will be for the contractor to put that plan into action. The time you invest in pre-project planning will save you both time and money going forward. – Professional contractors carry liability insurance, workers compensation insurance, and often times other business licenses required by provincial and municipal authorities. Be sure to ask your contractor about these items. – Professional contractors will provide a quotation in writing describing the proposed work. If you decide to accept the quotation, be sure to have an agreement drafted that both parties will sign. Depending on the complexity of the project the contract may range in size from 1 page to hundreds of pages but it is important that the level of detail in the contract reflects the level of detail of the project. – Professional contractors will, upon request, be able to provide at least 4 references with contact information. Surprisingly, many people who ask for references never actually call them – this is a mistake. Don’t feel like you’re imposing on strangers – make the calls and assess the responses. – Professional contractors are good communicators – they know when to listen and when to speak. It is their job to translate your vision into a workable plan. If you feel you can’t communicate with the contractor, then you should probably look for somebody else. – Professional contractors operate in an efficient and organized manner. They show up for appointments on time, and they deal with your concerns directly. If they make a promise, they will keep it. If you feel you are not being treated well before the contract is signed, you will likely feel the same way during the construction project. Most importantly, if you want to start a project in the summer and complete it before the bad weather arrives you should give yourself at least 2 months of lead time. 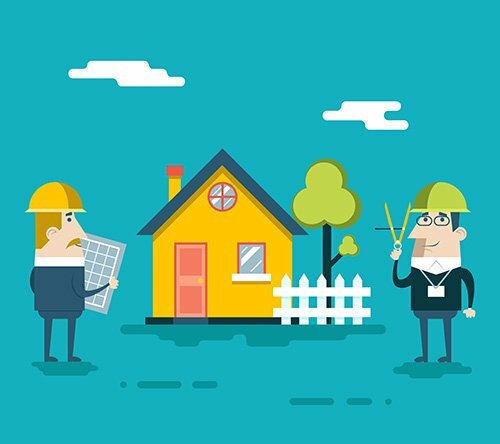 Reputable contractors fill their schedules in advance and often times will not be able to accommodate your needs if they don’t have enough time.